Congresswoman Jackie Speier on Monday officially announced a $50,000 reward from the city of San Francisco designed to unearth any information regarding the suspect who shot and killed a college student playing Pokemon Go last year in Aquatic Park. Calvin Riley, 20, was playing the popular game with a group of friends on Aug. 6, 2016 at about 9:50 p.m. when he was shot by an unidentified suspect. Riley's killer has yet to be found. "It's so important to our family to have closure, to find the person that shot my baby boy in the back and make it so that he can't hurt anybody else," Kariann Riley, Calvin's mother, said. To date, rewards mounting to $110,000 have been offered in hopes of revealing the location of the shooter. A total of $50,000 has been contributed by the family, another $50,000 has been presented by San Francisco and $10,000 has been provided by United States Park Police. 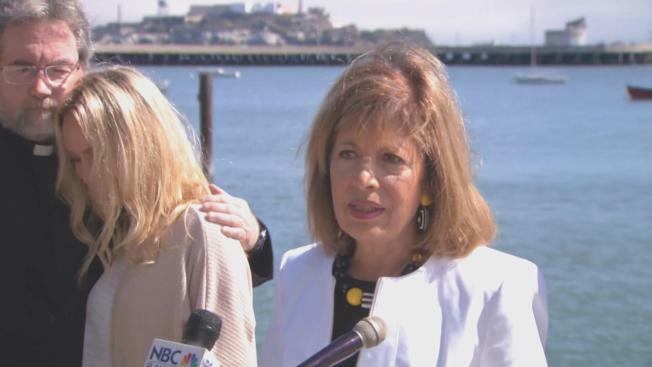 Congresswoman Jackie Speier on Monday officially announced a $50,000 reward from the city of San Francisco designed to unearth any informatin regarding the suspect who shot and killed a college student playing Pokeman Go last year in Aquatic Park. Pete Suratos reports. "We do know that money motivates people," Speier said. "I'm imploring persons who know about the whereabouts or information leading to the arrest of the person who committed this unspeakable crime to please come forward. This family has endured extraordinary pain." Riley was attending Delta College in Stockton and had graduated from Junipero Serra High School in San Mateo. In the beginning stages of the investigation, Park police officials released a sketch of the male suspect, adding that they believed he was associated with a 2013-2015 model white four-door Toyota Avalon that was seen leaving the area where the homicide occurred. Park police on Monday provided information about additional vehicles of interest. One of those cars is a 2006-2009 black Audi A3. The other is a 2013 white, four-door Hyundai Sonata. 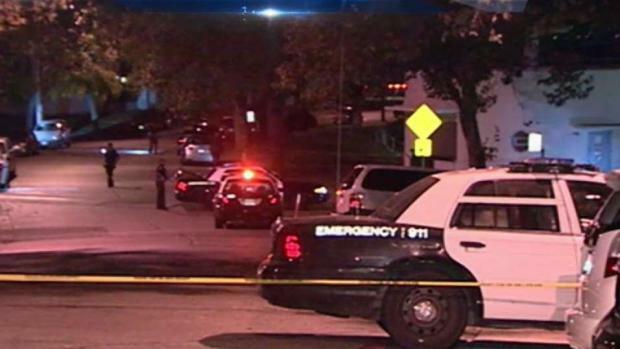 Anyone with information about the fatal shooting is asked to contact U.S. Park Police's tip line at (415) 561-5150 or police communications at (415) 561-5508. Callers have the option to remain anonymous.